DETROIT -- A flight was canceled in Detroit after police say a co-pilot failed a breathalyzer. Police were called at 6:40 a.m. Saturday, said Michael Conway, spokesman for Detroit Metropolitan Airport, after TSA officials reported that the co-pilot of an American Airlines flight may have been drinking. The co-pilot was given a breathalyzer at the airport, which he failed, said Conway. He was arrested and determined to be over the limit for a pilot, Conway said. His name and his actual blood alcohol content at the time have not been released. American Airlines issued an initial statement that emphasized safety as a priority, saying that American Airlines Flight 736 from Detroit to Philadelphia was canceled and that passengers were being reaccommodated. "This is a serious matter and we are assisting local law enforcement and the Federal Aviation Administration with the investigation," the airline said in a later second statement. "We will handle this matter appropriately as the safety and care of our customers and employees is our highest priority." 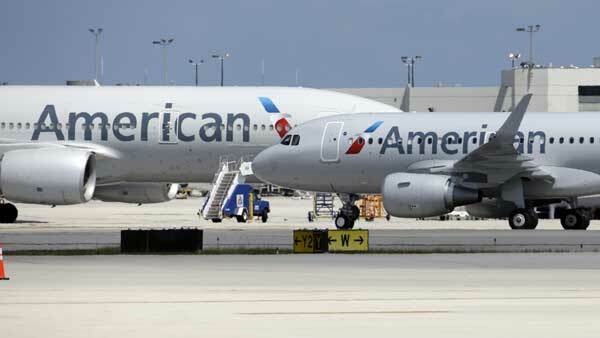 The flight was bound for Philadelphia and was due to take off around 7 a.m. The Federal Aviation Administration confirmed that the co-pilot was detained under suspicion of being over the legal limit when he arrived for his flight in Detroit. FAA regulations forbid anyone with a blood alcohol content of 0.04 percent or greater to operate an aircraft. Regulations also prohibit anyone from operating an aircraft within 8 hours of consuming alcohol, while under the influence of alcohol, or while using a drug that could affect safety.